Euphonycart deals with various brands in “Stands” such as Casio, SoundX, Hercules, Konig & Meyer Etc. The Hercules stage series microphone stand features the EZ mic clip, 2 in 1 boom clamp and the EZ clutch height adjustment. 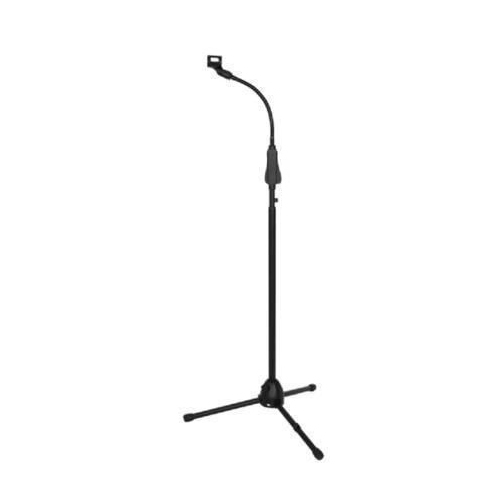 Euphonycart Presents Kadence NK40 Microphone Stand. 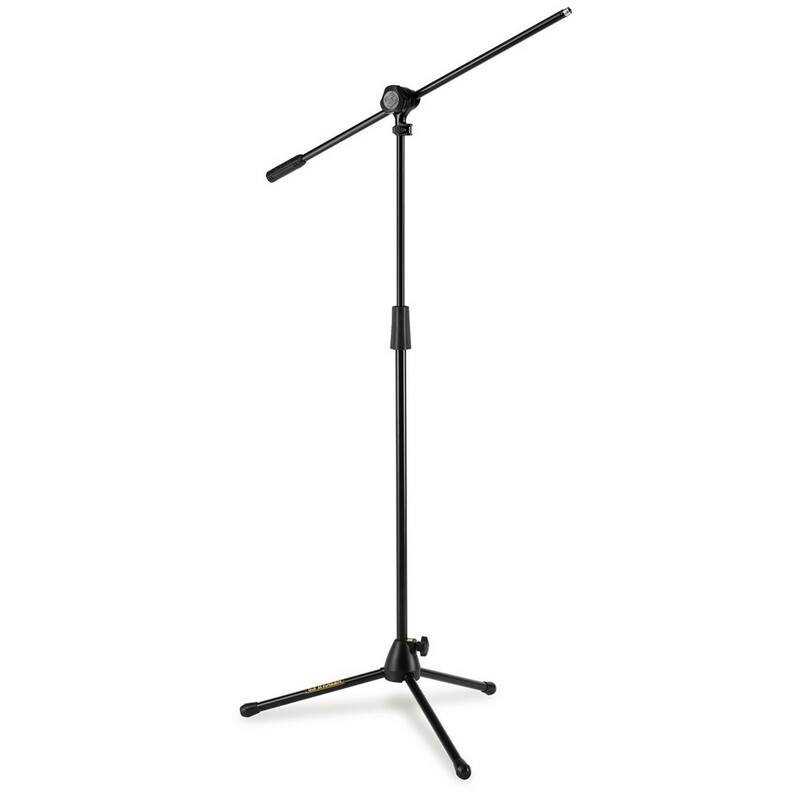 Kadence brings you this amazing microphone stand that will be a great inclusion to your collection of musical accessories. It is made up of high quality material and is sturdy enough to last long. 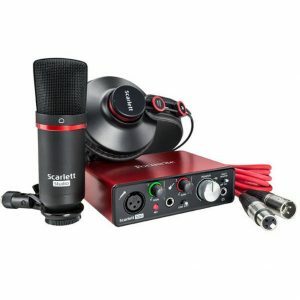 This microphone stand will help you to fix your microphone to the mic clamp and use it with ease. You can adjust its height according to your needs so that you don’t face a problem while using it. It comes with a tripod base which helps to maximize stability. 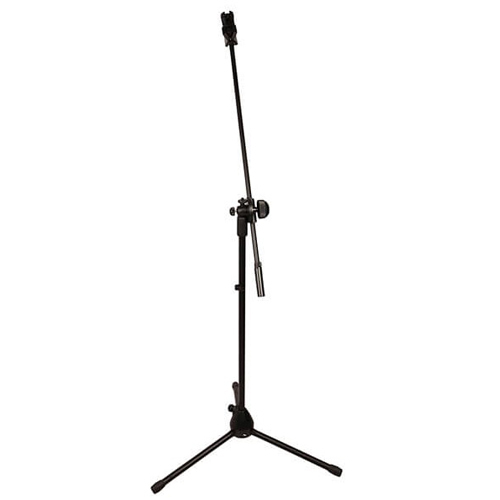 Euphonycart Presents Kadence M42 Microphone Stand. This amazing microphone stand that will be a great inclusion to your collection of musical accessories. 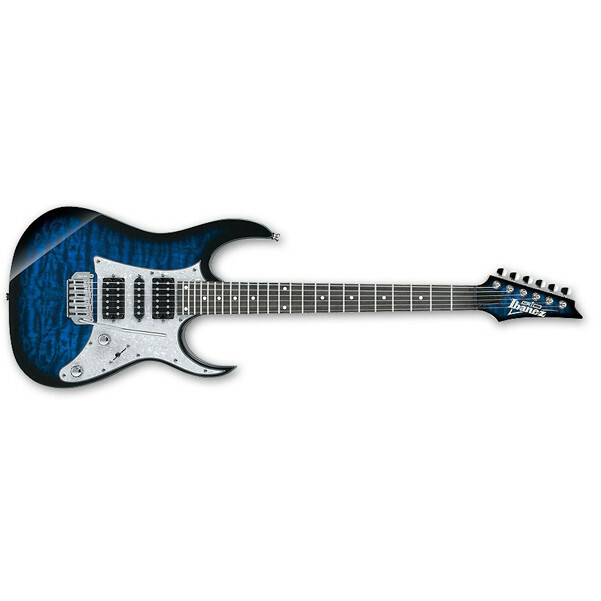 It is made up of high quality material and is sturdy enough to last long. This microphone stand will help you to fix your microphone to the mic clamp and use it with ease. You can adjust its height according to your needs so that you don’t face a problem while using it. It comes with a tripod base which helps to maximize stability. Euphonycart Presents Kadence NK30 Microphone Stand With iPad Holder. 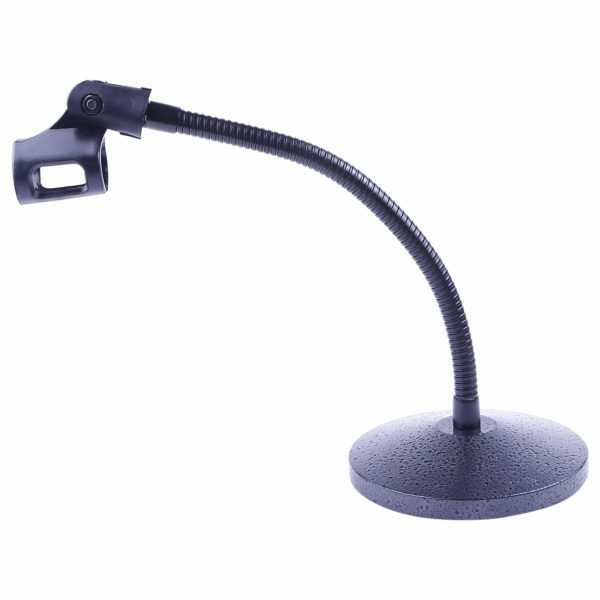 In this new age of digital media and e-paper, we present the microphone stand that can hold a tablet this allows for great digital possibilities in terms of digital notation sheets, teleprompter, presentations etc. 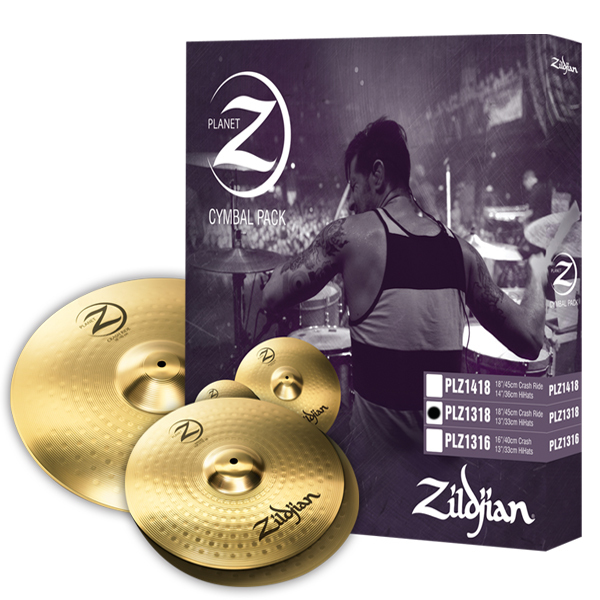 These stands are built to have great sound quality, high durability and increased ease of use. If you are looking at versatility and great quality, Kadence microphone stands are what you need. 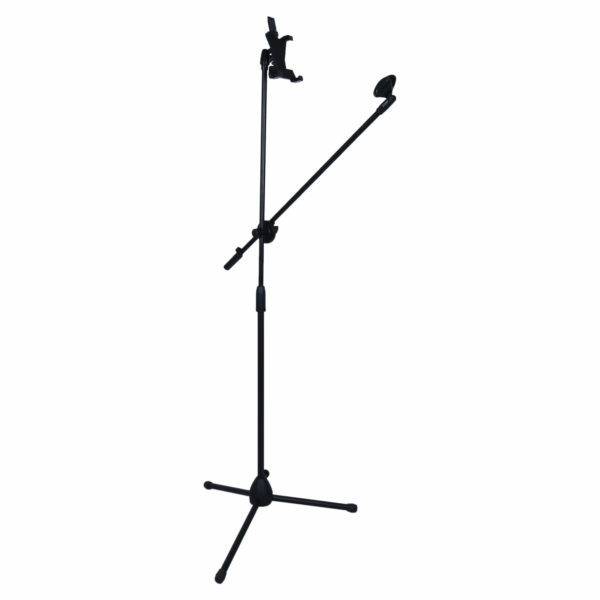 Euphonycart Presents Kadence NK33 Podium Microphone Stand. From the house of Kadence we present the accessories to enhance your experience. 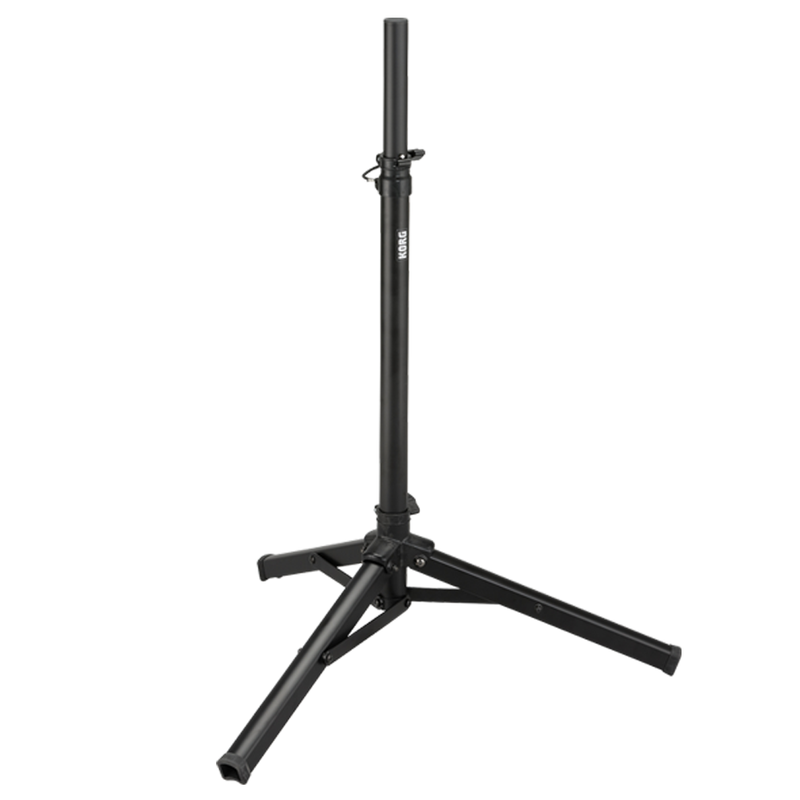 Kadence brings to you high quality podium microphone stands made with durable materials. 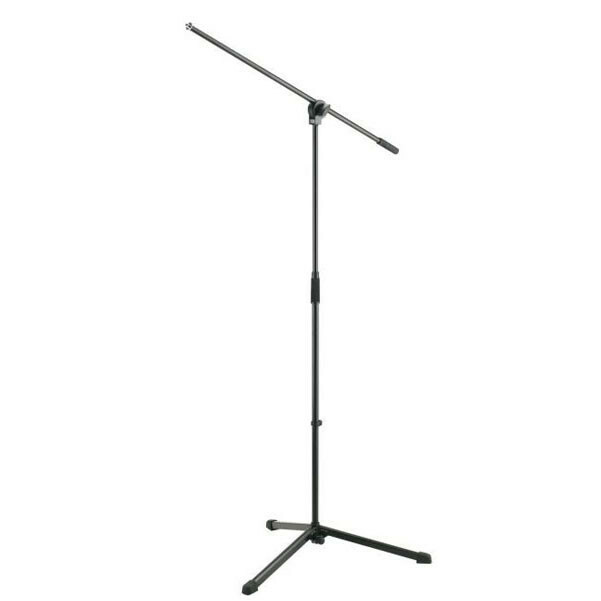 Konig & Meyer 25400-300-55 is an entry level, low priced microphone stand but with lots of professional features. The swivel joints allows the boom arm to be positioned at any tilt and length. 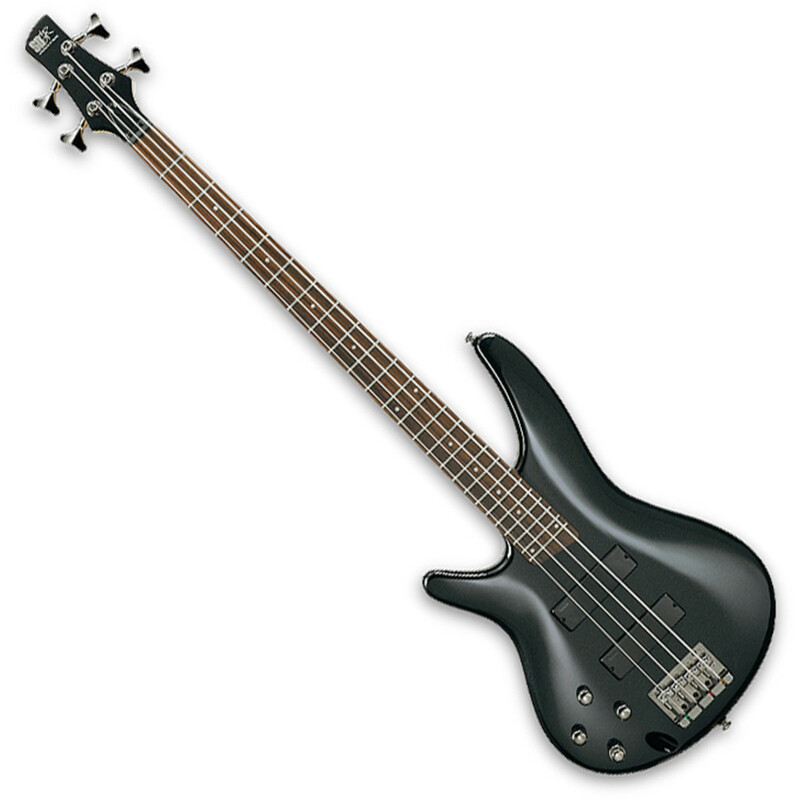 As the weight is only 1.85 kg, it becomes very much easier for the user to use it for various purposes like on stage miking or studio miking. Euphonycart presents Korg Speaker System for PA3X PAAS in India. The Korg PaAS quick-connect monitor is an optional, super high-fidelity speaker/amplification bar has been specifically designed to connect directly to the keyboard. Useful for both home use and on-stage monitoring, the PaAS uses Korg’s “Easy Connect” system: no additional support, no cables, no power supply needed to deliver crisp, clean full range sound. 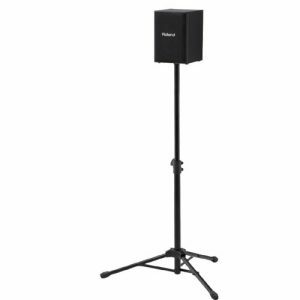 The ST-S80 is a compact speaker stand, made by ULTIMATE SUPPORT, ideal for use with a variety of speakers. The ST-S80 has lightweight, adjustable space-saving legs. This makes it ideal for easy transport and for both indoor and outdoor use. 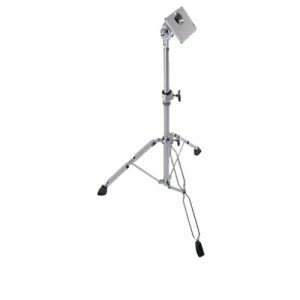 Euphonycart presents Roland PDS-10 Pad Stand. Along with the debut of the Roland HandSonic 10 comes a new double-braced support stand: the PDS-10. It’s the successor to the PDS-15, and features a newly improved angle clamp that provides 200 degrees of tilt. The stand is designed to be used with Roland’s HPD-, SPD-, VG-, and VB-series instruments, which include the HandSonic 10, HandSonic 15, SPD-20, SPD-S, VG-99, and VB-99. Euphonycart presents Roland ST-CMS1 Monitor Speaker Stand. Mount your CUBE quickly and conveniently on the new ST-CMS1 speaker stand. The ST-CMS1 is tough and stable, featuring heavy steel legs and a thick center pipe with height-adjustable knob and convenient height scale marks. Ensure your CUBE is in the perfect position, mounted safe and solid. It’s ideal for gigs, for the home, for business storefronts, and more. Samson‘s MS200 Studio Monitor Stands raise your studio performance to a new level. 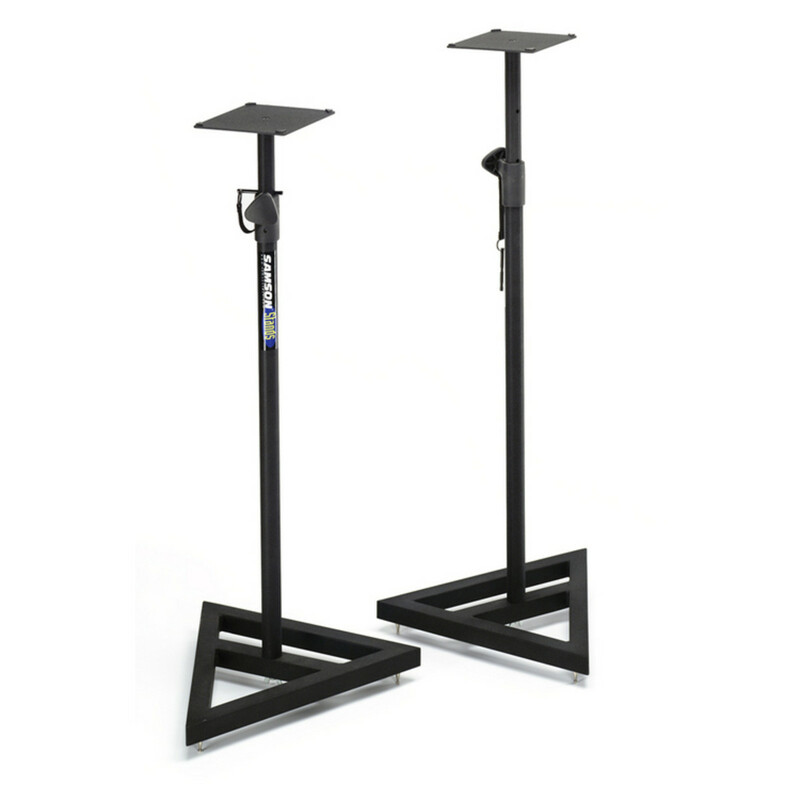 Sold as a pair, these professional-grade monitor stands feature a steel-constructed design with a sleek black finish. 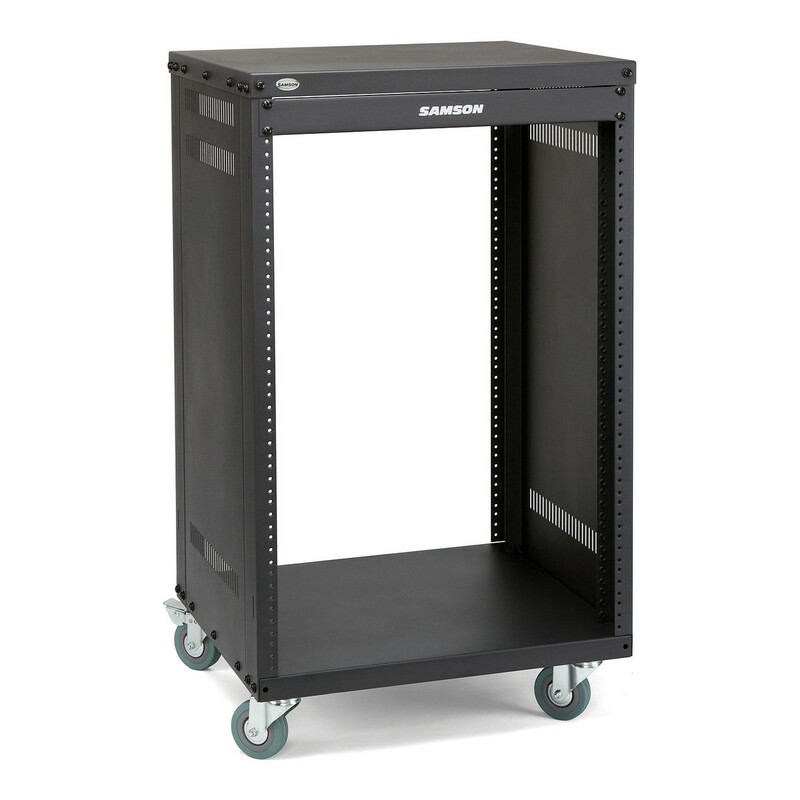 The Samson Universal Rack Stand SRK16 is a rugged, steel universal rack stand featuring fully enclosed side panels. It stands on (4) heavy-duty, 3″ casters with locking fronts, making movement of the cabinet a breeze. 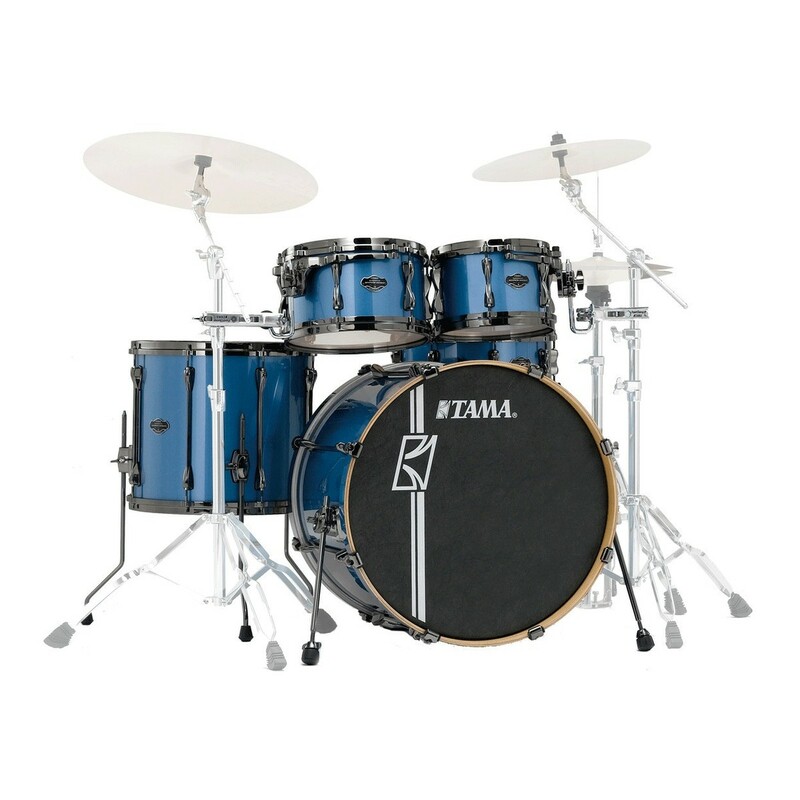 It was designed for 19″ equipment and offers 16U of space. Included with the rack is a single-space, flanged blank panel. Its unique steel support-bar construction also allows this rack to be used with either European or U.S. thread sizes. Euphonycart presents Samson SRK21u. 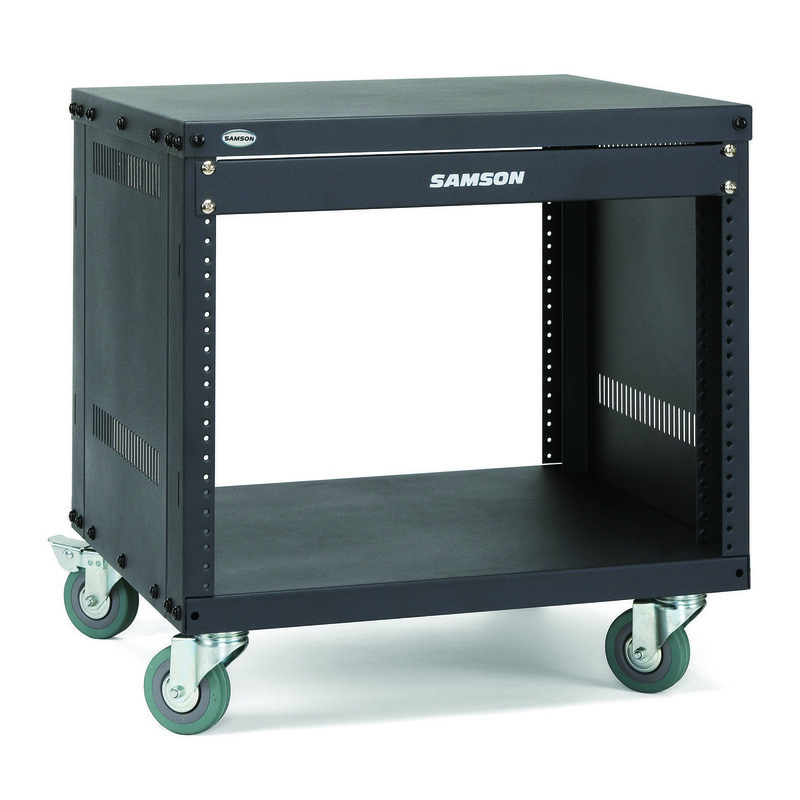 Samson‘s rugged equipment racks are solid steel and feature fully enclosed steel side panels. They are available in four sizes 21-space (SRK21). The racks are set upon 4 heavy-duty, 3-inch (75 mm) casters with locking fronts. Each Samson equipment rack includes a single-space, flanged blank panel. The truly innovative thing is that the unique steel support bar construction allows the racks to be assembled to accept either the European or US thread sizes. 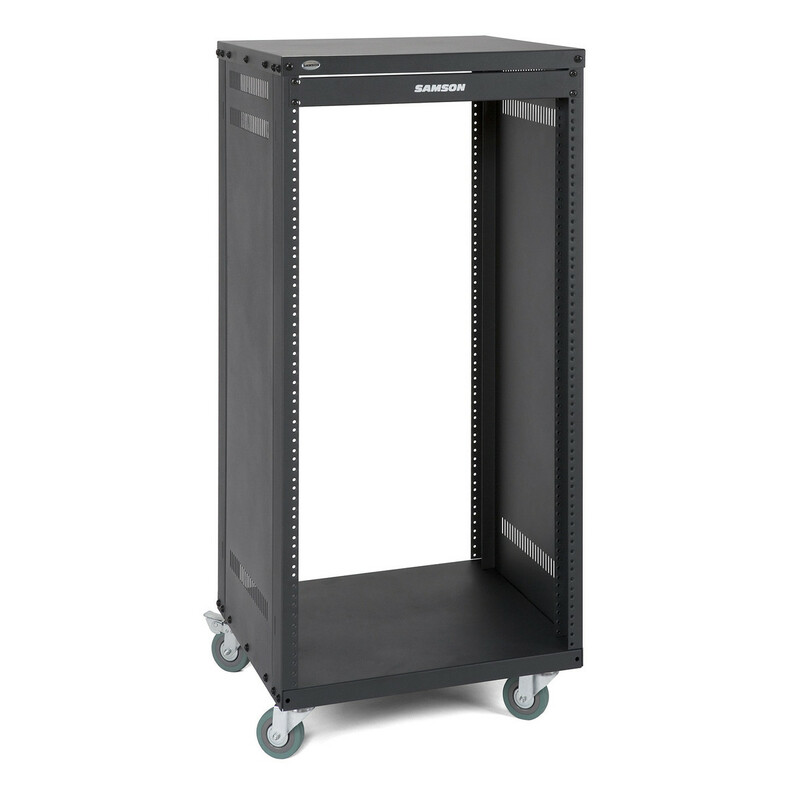 Samson‘s rugged equipment racks are solid steel and feature fully enclosed steel side panels. They are available in four sizes: 8-space (SRK8),. The racks are set upon 4 heavy-duty, 3-inch (75 mm) casters with locking fronts. Each Samson equipment rack includes a single-space, flanged blank panel. The truly innovative thing is that the unique steel support bar construction allows the racks to be assembled to accept either the European or US thread sizes. The Samson TS20 Speaker Poles are constructed of a durable, heavy gauge aluminium and are designed to fit into the pole fittings on subwoofers or satellite speakers. 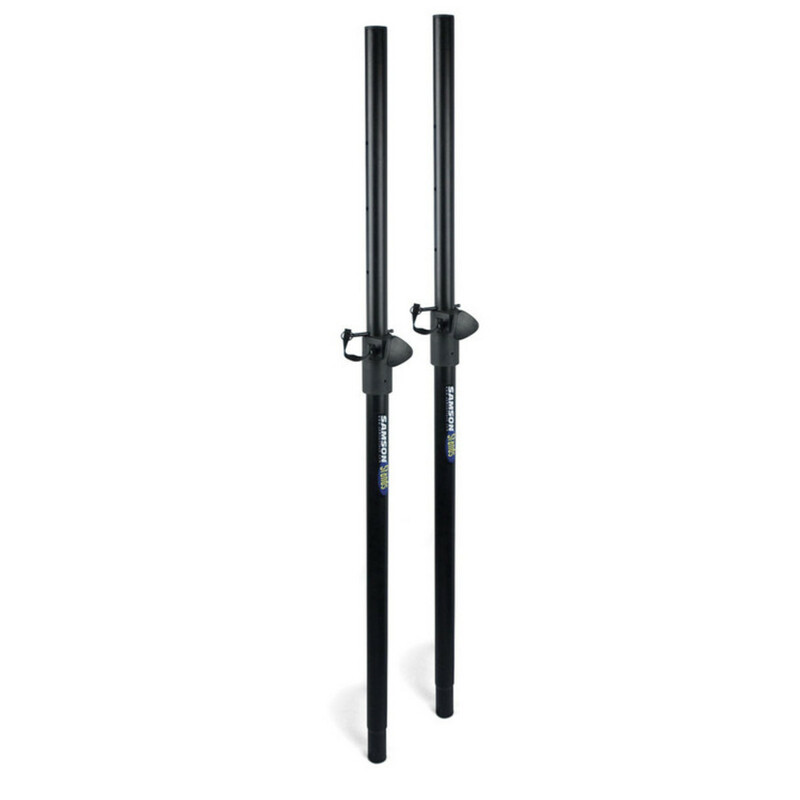 Featuring a secure locking-pin height adjustment design, the Samson TS20 pole stands provide up to 56 inches of height for standard loudspeakers.